It's not every day that animal rights advocates are actually excited about news coming out of China. The country has had a less than stellar track record when it comes to the treatment of nonhuman living creatures. From live baby turtles being made into keychains to animals being skinned alive before being put on the market, animal rights in the world's most populous country still have a very long way to go. Nowhere is this truer than when it comes to the treatment of dogs. For animal rights advocates, one of the most upsetting events each year is the Yulin Dog Meat Festival. The 10-day festival has been responsible for the slaughter of thousands of dogs per year. Dog meat consumers believe that the meat tastes better when dogs have more adrenaline in their blood — so dog butchers will often torture dogs to death in order to increase their adrenaline flow. Dogs are beaten, burned alive with blowtorches, or tossed into boiling pots of water. Thanks to public outcry, both within China and around the world, the festival's popularity has decreased and restrictions have been set, leading to fewer dogs being killed. But that hasn't been enough to end the festival for good. And that's why activists are so hopeful today since news broke that two Chinese governing bodies, the Chinese People's Political Consultative Conference (CPPCC) and the National People's Congress (NPC), plan to introduce new legislation that will provide special protections to canines by classifying them as companion animals. 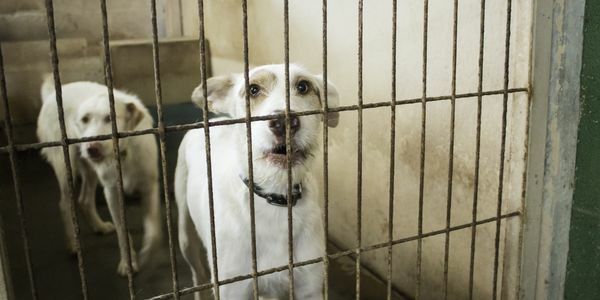 The new law, if passed, would exclude dogs from being used for human consumption and includes additional protections from other forms of animal abuse and cruelty. While dogs are not the only animals that suffer cruelty in China, this is exciting news and we all need to get behind it to show the country the world hopes for a China without animal cruelty. Please join Care2 and sign this petition in support of the new measure to classify dogs as companion animals in China.